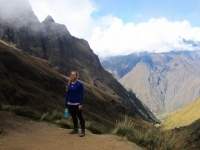 I hiked all my life and one thing on my bucket list is Machu Picchu and I made it. 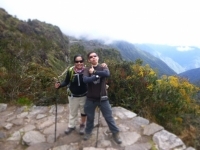 I hiked with my friends and we all done the 4 day 3 night Inca Trail. Three days after landing in Lima Peru, having a terrible cough, not eating enough and on time and a lot of things plans ahead. Who !!!! Is all i can say. 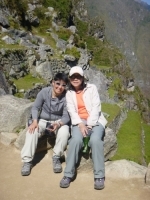 Machu Picchu Trail trekking is yet to come. First and foremost, I am not an athletic individual so my first thought of this adventure was "terrifying". After our first day, the hike and the camping, I was so proud of myself that I made it and did not hold anyone behind. One of my bucket lists, checked! 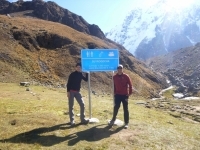 The best adventure in my life so far, 4day 3night Inca Trail experienced, I never thought that I could make it but I did it , it was hard but trekking for 4 days watching the beautiful mountains around you, it's the best thing ever in my life. My greatest adventure yet!!! I learned a lot about myself on this trip and I won't be taking anything for granted after this. words in any language could not even begin to describe what this adventure meant to me , and how it will always mean to me. 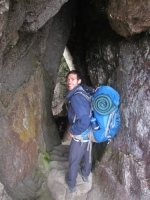 self discovery, mental and physical challenges both defied and defined my body and soul. never thought I’d make it! This was a beautiful but challenging experience. The porters we had were amazing. From carrying all our things up the trail,setting up lunch then, tearing it down moving to our campsite and setting up our tents. In a few days when I will look back on this trek there will only be great things to tell. Right now my body is sore and the thought about a good bed is on my mind. 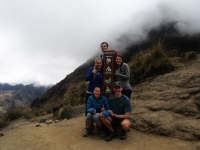 But what caused this was an amazing trek with some wonderful people and a passionated guide Victor. 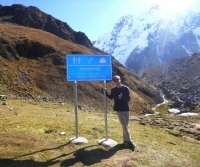 I decided I could travel into cusco to explore and I searched a few different options. 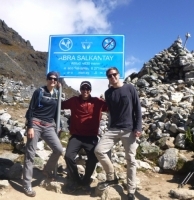 Most of them seemed really fun, but Inca Trail stood out. I was wish washy on my dates but I decided to pull the trigger anyway. My treck was amazing. I must admit i was sceptical in the beginning, but the view, the people, the food and Victor our guide made my trip. We had an awesome group - guide, cooks, horseman and hiking companions! 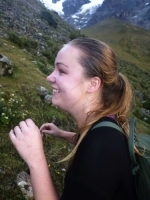 Everything went smoothly on the hike and I enjoyed every torturous step of it! Our guide was on top of everything and super informative.The food was incredible and the cooks were kindly accommodating of my food preferences and allergies. The hike was awesome! The second day was tough but definitely worth the while. The views were amazing, and the group was awesome! Victor was a great guide and was very informative and fun! i really enjoyed the camp and the food each night. 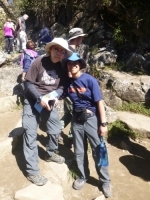 I did the 4 days 3 nights inca trail trek tour. We were a nice small group of 6. Our guide, Juan Carlos was very knowlegeable and funny. 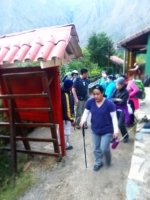 Making the Inca Trail reservation was very simple on your web site. 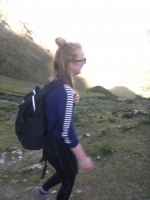 We also had a lot of help before arriving to Peru to plan our activities.The trail itself was amazing, and the group with which we walked it was very enjoyable. 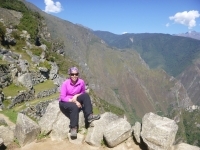 I had an amazing four days on the Inca Trail. Sometimes the hicking was rought but we saw a lot of beautifull views. Our guide, Juan Carlos did a great job.